Sonasea Van Don Harbor City near Halong Bay will be focus of the group’s business this year. The persistent shortcomings cannot hold back the desire to turn Vietnam into a global tourism hub. 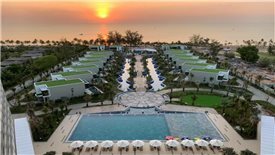 Best Western Premier Sonasea Phu Quoc, a project in Sonasea Villas & Resort tourism complex, is the first five-star resort of Best Western hotel management group in Phu Quoc. 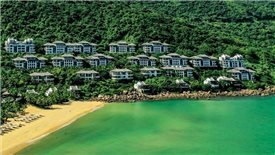 Vietnam – a new tourism hub of the world: why not? Thailand has more than 50 million residents but welcomes 35.4 million foreign visitors while Vietnam can only attain half as much as that figure despite nearly doubling in population. 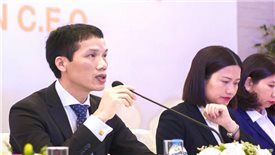 Tran Dao Duc, Deputy General Director of CEO Group, shared stories about their business focus on seaside tourism real estate which is more appealing and making the group become one of the three most prominent investors in Phu Quoc now. 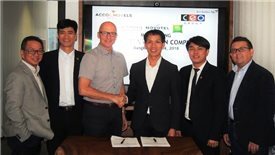 CEO Group and the world's leading hotel management group Accor have recently signed a memorandum of understanding in developing Sonasea Van Don Complex. 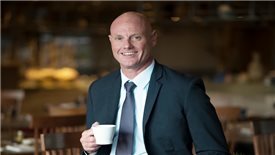 Novotel Phu Quoc Resort General Manager Lee Pearce shares his thought on the future of the Vietnam’s biggest island destination in contrast to two other tourist hotspots in Southeast Asia. 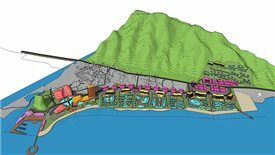 The project named Pullman Harbor City Van Don is in the Sonasea Harbor City Van Don complex with more than 1,000 hotel rooms on an area of roughly 13 hectares. 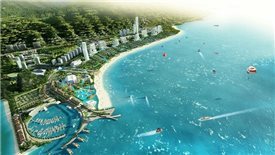 A member of the CEO Group, Van Don Tourism Investment and Development Joint Stock Company, has proposed the idea of planning the Sonasea Dragon Bay tourism complex in Van Don District to Quang Ninh People's Committee. 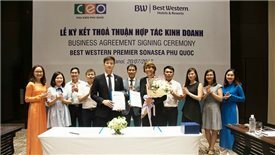 The presence of “Best Western Premier” brand is expected to benefit Phu Quoc with favourable opportunities to become an attractive tourism market in the world.